Hip geometric earrings are super light and easy to wear. 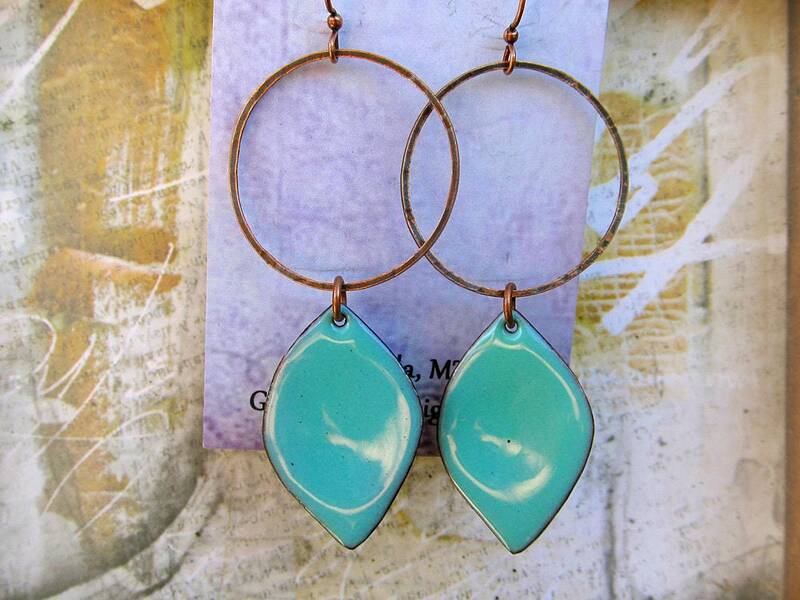 Dangled from a thin hammered antiqued copper hoop. 3 inches long (from top of ear-wire to bottom of charm). Nickle free ear wires are brass with a copper color coating. 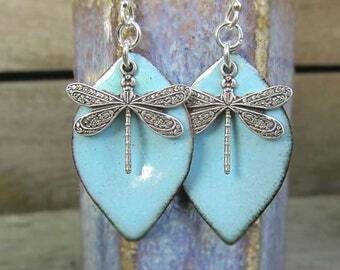 What beautiful earrings! They are better than the photo. This seller was efficient in making sure the gift was sent quickly and included a beautiful message! I will be sure to order from her again. Thank you so much for the time and effort in making these stunning earrings and your timely and accommodating delivery! Big and beautiful. Well made and not heavy!